Six years ago, I stood up on a ten foot board of fiberglass and immediately fell into the ocean as a giant (three inches high) wave toppled me over. I was hooked. 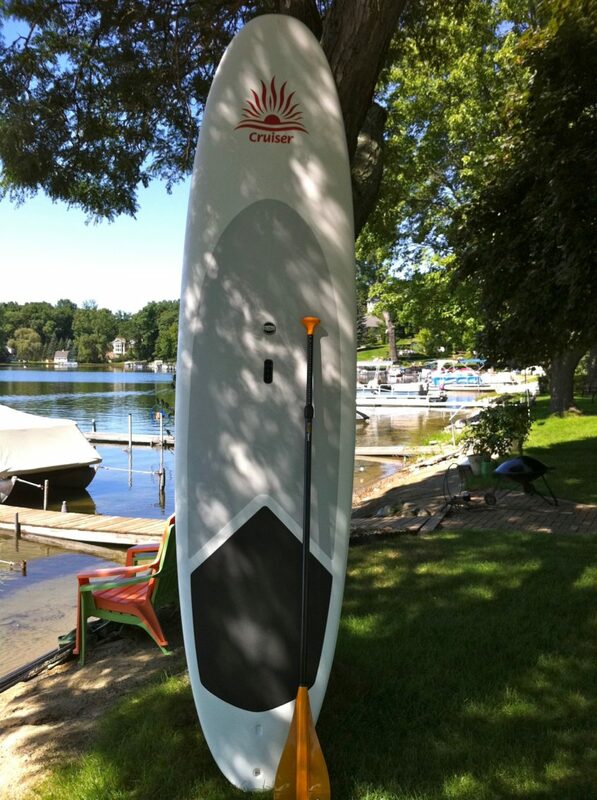 Paddle boarding quickly became one of my favorite past times even after I learned to stay upright. I have always loved the water, but when I discovered stand up paddle boarding, I found a whole new perspective. Now, I try to get out on my board at least once a week in the summer. Whether it is for a few minutes just off the shores of Lake Michigan or a few hours paddling around the small lake where I live, I find it relaxing. I often use those times to meditate and find a balance that goes beyond simply staying upright. Of course, I know that not every hobby is for everyone. You may have your own simple pleasure that provides you with an escape. However, I share with you my favorite pastime for a reason beyond finding personal tranquility. For me, paddle boarding and the lessons learned in mastering its techniques are a series of metaphors for life. Whether you are conducting a meeting or trying to formulate a strategic plan, the lessons apply universally. Of course, as with most things in life, looks are often deceiving. The instructor and I were standing waste deep in the ocean after my first fall when he said, “Men often find this more difficult because we try to control the board too much.” I immediately thought this guy was crazy. I am not controlling. After a few spills, I stopped trying to control his advice and accepted it (under protest, of course). I finally let the board move with the waves rather than trying to keep the waves from moving me. Immediately, I was gliding across the ocean like a gazelle floating over the prairie land. Well, I was good for at least 30 yards before I got nervous and imagined a giant whale surfacing underneath me and swallowing me whole. Then, I fell over again. Over the years and through the many SUP adventures on lakes, rivers, and oceans, I learned a lot more about balance. It is hard to stay atop a small board that is being tossed about from the wake generated by mid-life crisis boaters careening past you at top speeds. The key is perspective. I don’t mean just keeping in mind that these folks will eventually break an expensive propeller and have to give up on their Rogaine. I mean the perspective of self-awareness. If you are on a paddle board and you start to lose balance, look up at the horizon. This simple act will provide your own internal balance system a guide often lost amidst the chaos of your own thoughts, fears, and reactions. The horizon puts self-awareness first and gets you out of our own head. However, when you are navigating an SUP, a path is never predetermined. With a strong wind at your face, you will become a human sail. As you attempt to stay on a path, the wind will push you to the side. Course correction requires paddling furiously on the other side of the board which will cause an overcorrection in the opposite direction. This results in a zig zag pattern which frustrated me at first. In fact, I would often stop and think how am I ever going to get across the lake if I can’t go straight. I quickly learned a valuable lesson. Let go of your instinct to take a direct path. Instead, focus on the goal. On an SUP, you must determine what direction you want to go but allow the environment to create a multitude of paths, even when those pathways change quickly or seem inefficient, hard, and counterintuitive. In sum, you have to trust in your direction and not get stuck in a mindset that the path is predetermined. Hopefully, as you read these simple tricks for conquering the stand up paddle board, you begin to see the metaphors for life. Sometimes, when I am preparing to chair a board meeting or simply thinking about a new business strategy, I reflect back on a recent paddle board ride where I was fighting the wind or regaining my balance. Not everyone will find their metaphors gliding across the water. Regardless of where you find them, the key is to internalize them by finding them wrapped up in something you love. Hopefully, it is something that teaches you new perspectives and new lessons with each new adventure. Paddle on. Dave Seitz, Cofounder of Think Space, a unique and inspiring business meeting and retreat center. Follow Think Space on LinkedIN.